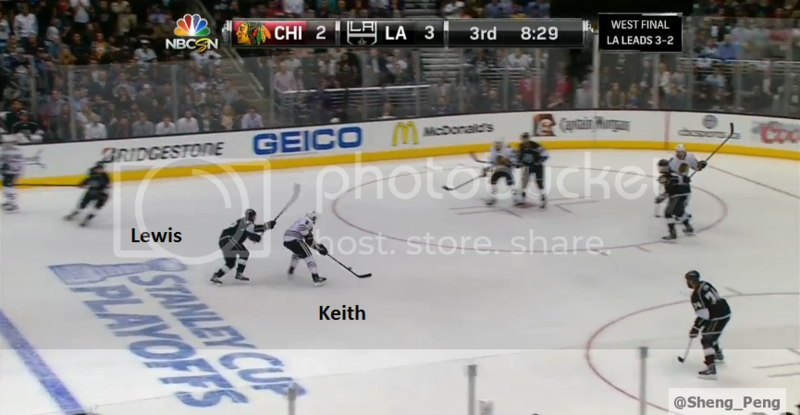 Kings' Game 7 Keys To Earn Broadway "Showtime"
I had predicted a Los Angeles Kings’ Game Seven loss to the Chicago Blackhawks in my series preview. So how will the Kings keep Drew “Not Quite Messier” Doughty’s promise to not blow it this Sunday—and hopefully, prove me wrong? At this point, Anze Kopitar and Jonathan Toews may as well release a one-on-one video game a la “Jordan vs. Bird.” Toews has a +14 Corsi differential for the series (Kopitar +2), while Kopitar has posted a +3 Even Strength Goals Differential (Toews -1). Jeff Carter and Patrick Kane have both gone off (Carter scored seven points in Games Three and Four, while Kane duplicated the feat in Games Five and Six). You can’t keep Kane from creating space, but you can limit it (as Marian Gaborik failed to do on Kane’s Game Six GWG)—and just as importantly—lock down his options. As for the much-maligned Slava Voynov-Willie Mitchell pairing, all hope isn’t lost in their matchup against the American sniper. The pair has followed Kane for three of the last four games (the exception being Game Four where Joel Quenneville put Kane-Toews together against Doughty-Jake Muzzin), playing about half their even strength minutes on him. They’ve been thrashed in the last two. But Voynov-Mitchell had a solid Game Three against Kane (albeit Handzus was his center). So with the help of their forwards, it’s certainly possible to slow him down. Williams did score a Game Two goal from a Richards’s primary assist; he also assisted on two goals with Stoll on the ice (Game Four to Doughty, Game Six to Dwight King). With all the attention (rightly) paid to Kopitar-Toews and Carter-Kane, Williams and whichever center he’s paired with will be a Game Seven X-factor. On Chicago’s side, Patrick Sharp is their Justin Williams: The top-six guy who’s capable of powering the bottom-six to victory. This one’s obvious. If Quick is even slightly better than the equally shaky Corey Crawford in Games Five or Six, Los Angeles is on the way to the Stanley Cup Finals. 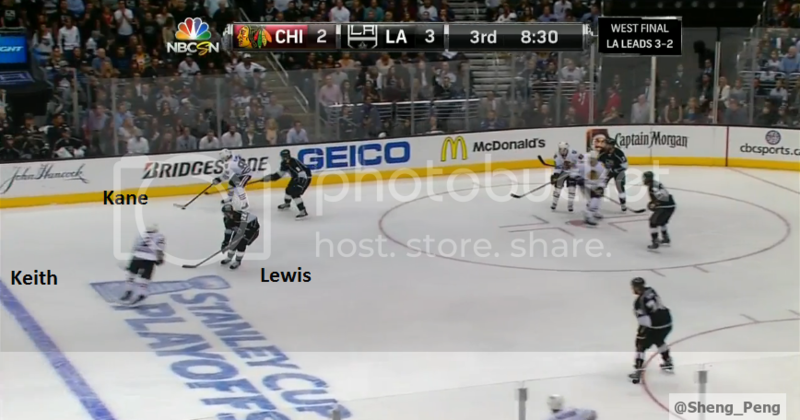 If the Kings don’t advance, no matter how he performs in Game Seven, a lot of blame will be laid at his crease. Stats courtesy of Behind the Net, Extra Skater, Hockey Analysis, Hockey Reference, and Sporting Charts.